Leone Schmidt was officially named as Warrenville’s City Historian in 1977. She was born in Chicago in 1918 and later moved to our historical community in 1953 where she married Al Schmidt, a lifelong DuPage County resident. Together they owned and managed the Car Clinic. Shortly after her arrival in Warrenville, she started passionately researching Warrenville’s history. Over time she wrote five books, Come Fly to the Prairie, Life and Times of Warrenville, In and Around Historic Warrenville, When the Democrats Ruled DuPage, and For the Honor of Our Flag. These books can be purchased from the Warrenville Historical Society at the Albright Studio. The Illinois State Historical Society, in 1991, recognized Leone Schmidt’s achievements by presenting her with its top honor, naming her a “Friend of History.” She also was the recipient of the first Studs Terkel Humanities Service Award, presented by the Illinois Humanities Council. 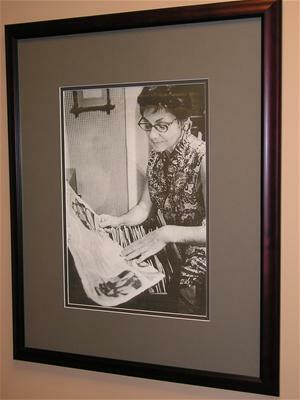 In 2001, the City Council honored her by naming Warrenville’s Hall of History, located in City Hall, after her. In 2006, a city park located at the corner of 2nd Street and Warrenville Road was named in her honor as well. Sadly, on July 8, 2016, Ms. Schmidt passed away at the age of 97.